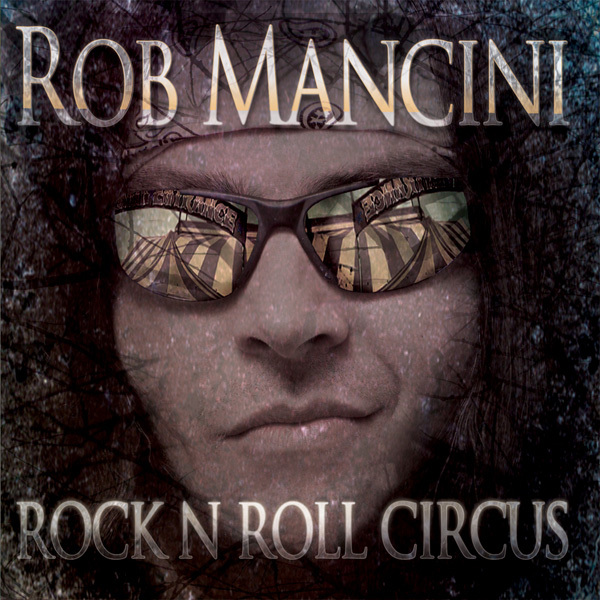 When I had the opportunity to review the debut solo album for Rob Mancini, I jumped at the chance. Why? Rob Mancini had played with Hotwire and Crush, bands I’d liked for some time. He’d also shared the stage with the likes of Dare, Victory, and Treat – again, bands that I’ve liked for a long time. Plus it was mastered by none other than Harry Hess, always a bonus. So, what did I expect from this album? I expected to hear a great melodic rock album, something that would have fitted with my collection of early 90’s rock and AOR. I received something better than that. From the begining, this album had those elements of the early 90’s melodic rock scene that I loved so much – the catchy choruses, the solid guitar riffs, the great quality of the vocals (the likes of which viewers of the X Factor have been denied for years), and some great keyboards. For me, the highlights on this album were the single Edge Of A Broken Heart, along with Everytime You Cry, Weak As I Am, and surprisingly (at least to myself) Running Up That Hill, a cover of an 80’s Kate Bush song. I say surprisingly because I really didn’t imagine this could work as a rock song – even Rob Mancini himself admitted this was a gamble – but somehow it’s one of my favourite songs of the album, it works really well and has an almost haunting quality to it. I also really enjoyed listening to United We Stand, I thought this was a song that showcased Rob’s ability as both a singer and a guitarist, especially with the solo towards the end of the song. But I really did enjoy the whole album. I instantly loved this album, and yet not for the reasons I thought I would, which makes me like it more. I’m also eagerly anticipating the tour later this year and the follow up album to Rock N Roll Circus, which is likely to be released around winter. (When it is, we’ll let you know of course).